With so many varieties of pet food and treats on the market, it can be difficult to know if the product you give your dog or cat is providing them with the nutrition they need to stay healthy. What you feed your pet is essential as each stage of life requires a special balance of vitamins, minerals, protein, fats, and carbohydrates to ensure your pet’s optimal health. As pets age, their nutritional needs may change as well. During your pet’s next wellness exam, we can discuss the brand of food that is right for your dog or cat. Keeping your pet at a healthy weight will improve your pet’s overall health and extend his or her life expectancy. Your pet should not be overweight or underweight, as both can cause illness, injury, and lead to serious health conditions. 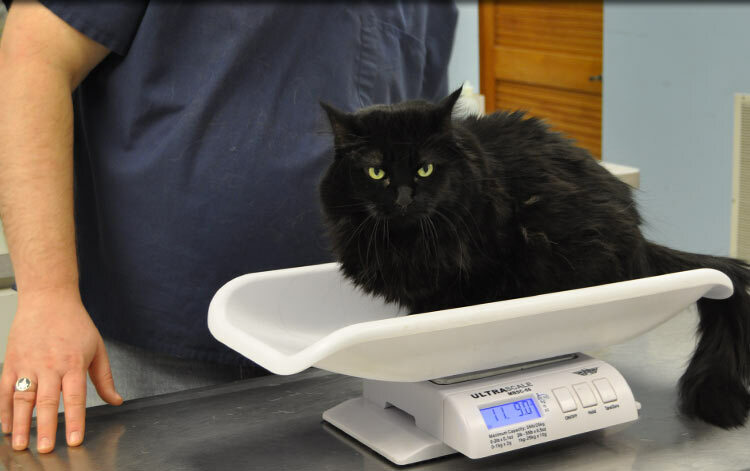 We can help you determine what is best for your pet depending on their current weight; whether they are overweight or underweight, we will come up with a plan to get your pet back to his or her ideal weight. Usually, it only means decreasing or increasing your pet’s food intake; for overweight pets, increasing the amount of play and exercise is required to reach their ideal weight. 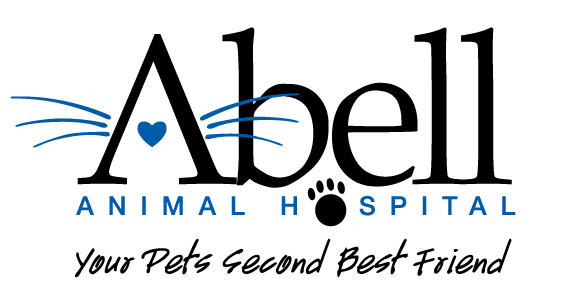 Abell Animal Hospital carries the best, high quality prescription dog and cat food. Prescription diets are specially formulated for the optimal balance of pet health and nutritional support. We carry diets designed to support a variety of health issues such as diabetes and food allergies; we can provide the right prescription pet food tailored to your pet’s need depending on their condition. Our goal is to make sure that your pet is living as healthy a lifestyle as possible! For animals and humans, good health always starts with nutrition! The healthier and happier your pet is, the happier (and hopefully healthier) you and your family will be!